A huge investment of £260 million in our campuses means you’ll benefit from the very latest learning environments. The £62 million Parkside Building is an extension of our City Centre Campus and is home to design and creative media courses. This has been joined by the £63 million Curzon Building, which opened in September 2015 and is the base for our business, English, law and social sciences courses. The latest development is a brand new £57 million home for our world-famous Birmingham Conservatoire, which opened in September 2017. We're based in the UK’s second largest city, which is home to 65,000 students and Europe's youngest city population. Birmingham has a long history of welcoming those from abroad, with nearly one in three of the population of minority ethnic origin. We’re committed to giving you a great educational experience matched by the skills that employers really need. Whichever subject you choose, we focus on the latest knowledge and practical experience so that you’ll be fully prepared to launch straight into your chosen career. Our teaching staff are recognised around the world for their excellent industry connections and research impact. Their expertise helps you get involved with external organisations to solve real-life problems and challenges, improving your knowledge and employability. 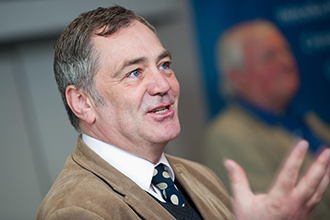 Professor David Wilson is one of the UK’s leading criminologists. Dr Javed Hussain is an expert in entrepreneurial and ethnic minority finance. Professor Cham Athwal – a leading researcher in Vehicle Crash Testing - has achieved huge safety improvements for the automotive sector. Kathryn Moore, Professor of Landscape Architecture, has been elected as the new World President of the International Federation for Landscape Architects. Professor David Edwards recently became ‘Chief for Educational Development’ in support of several towns and villages in Ghana. Bob Calver, Senior Lecturer in Broadcast Journalism, has been made an Honorary Professor of the Culture and Media College at Shenyang University in China. Our honorary graduates include internationally renowned Chinese pianist Lang Lang, fashion designers Gok Wan and Bruce Oldfield, actress Julie Walters, ELO’s Jeff Lynne, Chinese-born British entrepreneur W Wing Yip OBE, and adventurer Sir Ranulph Fiennes. Our researchers are committed to uncovering new knowledge and delivering real benefits. We’ve been working as a supplier for research with the Aerospace Division of Rolls-Royce since 2008, on a project examining its advanced engineering systems. Our furniture research has delivered innovative chair designs that are benefitting schools, orchestras and care homes across the world. Our Business School has tracked the impact of entrepreneurship education on graduates, informing papers for the UK Government’s Department for Business, Innovation and Skills. Professor Lubo Jankovic has secured a £1.2 million externally funded project addressing designing zero-carbon buildings in the UK. OpportUNIty, our friendly student employment agency, gives you the chance to work in one of many part-time jobs available on campus, helping you fit a job around your course commitments. We’ll guide you through the work application process, helping you gain highly valuable employability skills. We have around 160 EU and international students currently employed on campus by OpportUNity. On campus, you’ll experience the latest teaching methods, software and equipment designed to give you practical knowledge of what to expect in the workplace. 1,400 ...students take advantage of our industry-standard laboratories, operating the latest software and technology - from building information and 3D modelling, through to robotics and engineering. You’ll experience real-life work challenges, visiting industry tutors, and expert lectures – all giving you the very best chance to excel in your chosen profession. Our School of Media’s new £10 million facilities feature the largest university TV studio in a purpose-built media centre at The Parkside Building, part of our city centre Campus. Birmingham City Business School’s new twice-yearly ‘Employability Challenge’ gives you two whole weeks to develop and demonstrate skills that make you stand out from the crowd. As well as resume workshops and psychometric tests you can learn about negotiating, leadership, networking and improving your management skills. You can jump into one of our Gamer Camp's Pro or Biz courses as a games programmer, artist or producer and build real games for PC, smartphone and PlayStation 4 over a year in our bespoke studio facilities. We have a wide range of professional accreditations across our courses. Accreditations act as endorsements, making you more desirable to employers; they can also give you exemptions in your further study. 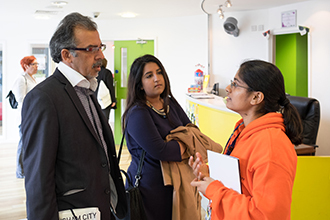 We actively encourage students who are interested in starting their own businesses or developing entrepreneurial skills, and help with applications for visas to make this possible. You’ll enjoy a wide range of initiatives, including The Entrepreneurship Society - one of our most popular entrepreneurial student groups, offering the perfect setting to share ideas, get advice and make important links with businesses. 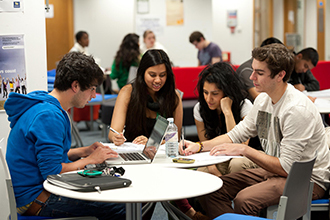 Birmingham City Business School’s ground-breaking Student Academic Partners (SAP) scheme gives you the chance to team up with other students and staff as part of an equal project partnership. Our annual Extra Mile awards highlight some amazing student achievements, as well as crowning the Entrepreneurial Student of the Year. Our students have a great reputation for putting their ideas into action too. A group of Business School students emerged as winners of the International Entrepreneurial Brains Made on Campus 2015 Competition, hosted in Stuttgart, Germany. MA Visual Communication graduate Claire Farrell established her company EC Arts while still at University and current students are now given opportunities to work with her. Film and Animation students have had their work shown nationally and internationally at various prestigious film festivals, such as the Canada Stop Motion Festival, Canterbury Animation Festival, Flip Festival, Flatpack Festival, and xHumed. Practical experience is vital for employability, so many of our courses offer internships with leading companies, giving you valuable experience as well as an opportunity to make important connections for the future. Working closely with these companies also means you’ll benefit from the latest insights in your chosen area of study. Microsoft, BBC, Cisco, Sony, SAP and Jaguar Land Rover are just some of the top brands we have links with.